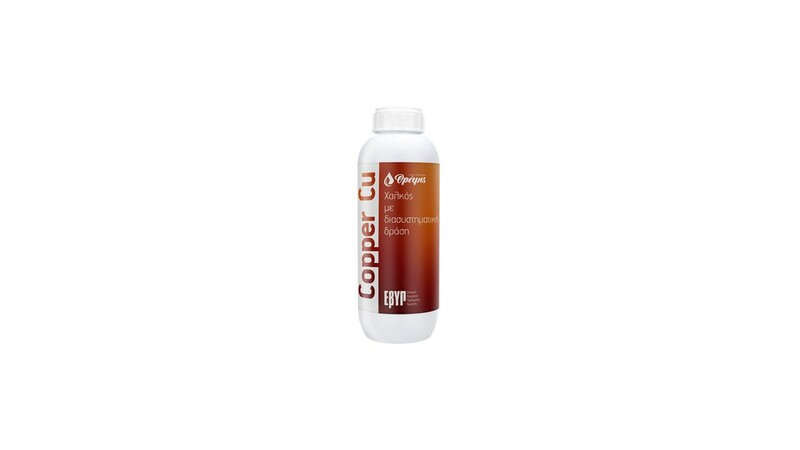 The “Copper Cu” product is a liquid copper fertilizer in complex form with selected organic agents, gluconic acid, lignosulfonic acids, oligo- and polysaccharides. It has a systemic effect enhanced by the organic forms of copper it contains. Its composition meets the plant’s needs in copper, activates its metabolism, facilitates the synthesis of polyphenols and phytoalexins and naturally enhances the cell wall of the plant tissues. It is applied by foliar spraying or in the soil through irrigation systems for the prevention and treatment of copper nutrient deficiencies. General dosage for foliar sprays: 200-300 cc / 100 It of spray solution. General dosage for fertigation: 300 cc / 1000 m2.